4.5For a quick read this one was surprisingly good. I was pulled in from the beginning and it kept my engaged for the entire thing. I wouldnt mind reading about these two again. Maybe a full review to come. I liked it but wanted more to the story - it's a novella so felt a bit rushed. Really liked the characters and the set up, just too short for me for the story line. However, for a free story it's a nice read. A quick read with Shifters, a sheriff and action. 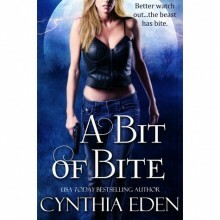 I´d love to read both what happened before and what came after, but as a quick, short shifter read? Perfect.